Personalized. 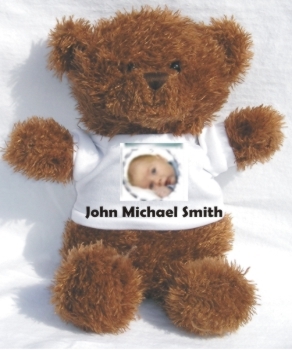 This cuddly 10" Teddy Bear with White T-Shirt makes a keepsake that will last thru the years. Baby's photo and stats can be displayed on this fuzzy friend.